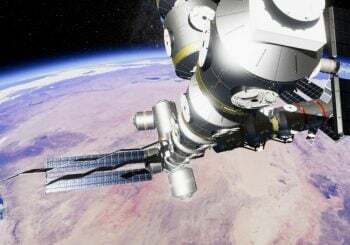 We’ve been lucky enough to get an exclusive Q&A interview with Jim Offerman, Founder of Codalyn and the man behind new space simulation game, Stable Orbit, launching on 14 October. Jim tells us in his own words what went through his mind when he was developing the game, why he thinks you should play the game in early access (it’s definitely one of a kind!) and how he hopes the gaming community will help him achieve his goal of building the best space station game out there! Jim Offerman: I first got into game development when I was about sixteen years old. My friends and I used to play a lot of games back then – everything from the original SimCity and Civ. 1 to Duck Tales, Grand Prix and Prince of Persia (the prince died a lot whenever I played). One day we realized that all those games were made by people and that if other people could create games… so could we! We, after all, had a computer too! Since the internet wasn’t a thing yet, we got some books from the library on how to make games and got cracking. First in QBasic / QuickBasic and then, when we got more serious, in C/C++. I became the programmer of the bunch because we reasoned that it would be easiest for me to get help, since my dad works in IT. Those early experiences led me to become involved in the game programming community and eventually I landed a job at Nixxes Software, where I started as a graphics programmer and eventually grew to become the lead programmer on projects such as Deus Ex: Human Revolution (PC) and Tomb Raider (PC and PS3). Working on those big projects was an awesome experience and I learned a tremendous amount from the team at Nixxes and the various studios and partners we worked with. 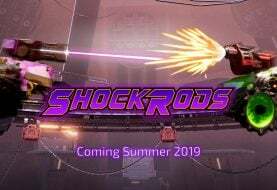 However, there was one particular itch that working at Nixxes just couldn’t scratch: since the beginning, I have always wanted to create my own games. So that’s now become my main goal with Codalyn – hopefully Stable Orbit will become the first of many! What inspired you to build the game? At the risk of sounding like a cliché… the truth is I really wanted to play a game where the objective would be to build a big space station. Since there wasn’t anything quite like I wanted to play at the time (or now), I decided to make one myself. Are you a fan of all things space? Not a big fan of space junk, but most other things definitely yes. I don’t remember ever aspiring to be an astronaut, but I have always been a great fan of all things science fiction and space-based science fiction in particular. In recent years, I have become particularly interested in “hard” science fiction – i.e. stories, like The Martian, about what it might actually be like to live and work in space and where technology may take us in the next couple of decades. Doing research for Stable Orbit, I have also become more and more intrigued by the incredible things we are actually already doing Today. How long did it take you to build the game on your own? I built the first prototype for Stable Orbit in the latter half of 2012 and I kept coming back to it throughout the years, tinkering with how the game would play. When my plans to form a games company became more solid I looked at all the game prototypes I had lying around (there are many) and asked myself: which of these will I be able to finish on my own? Knowing that, for quite some time, I’d have to be working nights and weekends, alongside other jobs and obligations. Stable Orbit, or “Station” as it was called back then, jumped out at me as the one game that I could certainly finish. I’d say development on the game proper probably started March last year. Codalyn became a company the following August and has only become my full-time job since this May. So, all in all, that’s about a year and a half of development – plus whatever time I still need to finish what I started! How did you and Green Man Gaming get together? I didn’t actually know Green Man Gaming had gotten into publishing when I first got in touch. At the time, I was still planning to self-publish Stable Orbit and thought it would be good to begin establishing relationships with online retailers like GMG. While filling out the developer contact form, I noticed a tick box that said “Publishing” and thought: what the heck, let’s see what happens. Next thing I know, there’s an e-mail from Gary Rowe (EVP of Publishing) asking if I had a playable demo for him to try. That email really pushed me to switch gears and reconsider how I was going to bring the game to market. I subsequently talked to a bunch of different publishers, but what really stood out for me was how much on board Gary was from that very first moment. Where other dealings were much more business-like, my conversations with Gary tended to be about what was hot and happening in space and how those things might be relevant to the game. That, more than anything, convinced me that GMG would be the right partner to help me market Stable Orbit. Can you tell us the story behind the game? One of the more peculiar things about the International Space Station, to me, is that even though it is the single most expensive thing mankind has ever built, it will probably become too costly to maintain in the near future and therefore seems destined to burn up in earth’s atmosphere like Skylab and Mir. Within the fiction of Stable Orbit, the ISS was ultimately abandoned in 2029. The game is set five years later, at a time when mankind has realized that without a functioning space station, progress is falling behind. As other space programs begin to falter, an unprecedented new coalition called the All Nations Space Coalition is formed, in which all the space faring powers – including China, Russia, Japan, the United States and Europe – decide to collaborate on building the successor to the ISS. The game begins with the launch of the first module of the new station, after which you, the player, are assigned the task of expanding the station and getting the various research programs fired up again. What would you say are the key features of the game that sets it apart from other games in this genre? Aside from there not being many (any?) current games focused entirely on building and maintaining space stations, there are a few things that I believe really set Stable Orbit apart. Most visibly, the fact that the station you are building is actually orbiting a rather detailed version of Earth. Also, it’s a game that is at the same time incredibly tense – since a sudden death of your crew lurks around every corner – and yet also a quite calming and relaxed experience. Finally, I have made the whole simulation fully reversible, so that at any point in time you can turn back the clock and go back to earlier events in the game. In the version we’re launching with, you will only be able to go back and see what happened, but eventually you will be able to pick any point in time and replay the game from that point on. If some disaster causes half of your station to be lost, you will be able to go back a few months and – knowing what will happen – try to prepare better to hopefully survive on the second try. Why launch in early access? It’s incredibly important to me to get people to play the game and tell me what they do and do not like. 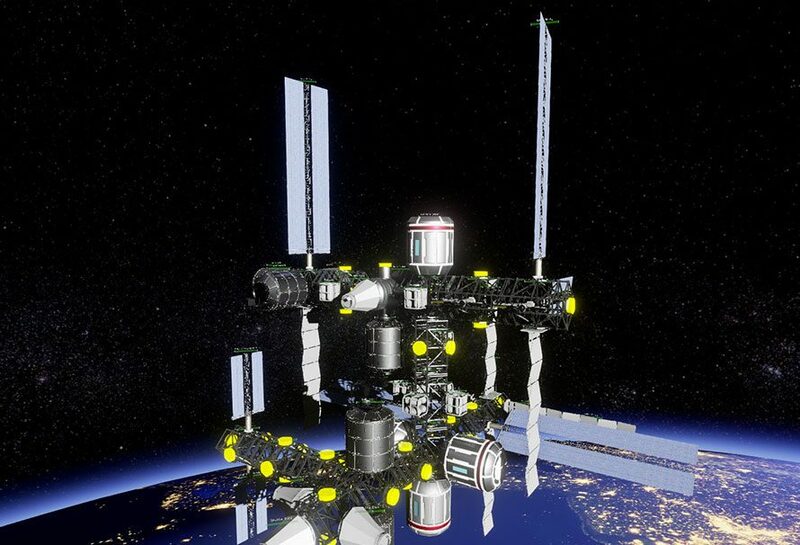 I believe and hope that the feedback I’ll receive through the early access community will help me decide where to focus my attention so that Stable Orbit becomes the best space station game I could possibly make. What can gamers look forward to seeing after the early access launch? Lots of things. Most importantly, once I am confident the core gameplay is balanced just right, I intend to add more modules and further flesh out ancillary game mechanics. For example, I’d like to explore having a dynamic weather pattern for the earth and subsequently have bad weather influence whether or not your supply shuttles can launch on schedule. Furthermore, I plan to upgrade the visuals of the game – my dream scenario is to have the space station eventually look so convincing that a screenshot of Stable Orbit could be mistaken for a photo of the ISS. I’m not sure yet how close I’ll get to that, but I am certainly going to give it my best shot. Likewise, I plan to improve the sound design of the game over time and I will be recording some original music for the game as well. Are you getting the community involved in building up the game and how? It would be a wasted opportunity not to, so yes I do plan to involve the community. As I already mentioned, I will be relying on community feedback to help me decide where my attention should be focused in regards to the game. Additionally, I’d like for the community to become my eyes and ears on everything related to space – so much interesting stuff is happening out there, it’s hard for me to keep up! Then there is also so much stuff that still needs to be made up – from astronaut names to the kinds of technologies that we might research in the near future. I am, of course, planning to do my fair share of that work, but I am sure there are members of the community who will help me come up with some really interesting stuff as well! Wanna get yourself a copy of Stable Orbit? Grab it at Green Man Gaming!